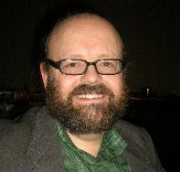 Wes Williams's main research interests are in the field of Renaissance literature: the critical study of genre and of subjectivity; investigations into the politics of literature, experience, and the popular and professional cultures of the early modern period. 1998: Pilgrimage and Narrative in the French Renaissance. Oxford, Clarendon Press. 2007: ‘“Out of the frying pan…”: Curiosity, danger, and the poetics of witness in the Renaissance traveller’s tale’ in Curiosity and Wonder from the Renaissance to the Enlightenment, eds., R J. W. Evans and A. Marr. Burlington and Aldershot,, Ashgate. pp. 21-41. 2009: ‘‘A mirrour of mis-haps,/ A Mappe of Miserie’: Dangers, Strangers, and Friends in Renaissance Pilgrimage’, in ‘The Book of Travels’: Genre, Ethnology, and Pilgrimage, 1250-1700, ed., P. Brummett. Leiden and Boston: Brill. pp. 205-239. 2010: ‘Mighty Magic’: Monsters and their Meanings in Early Modern French Culture. Oxford, OUP. 2010: ‘Si Faut-il Voir Si Cette Belle Philosophie…’: The Language of Fiction in Montaigne, Corneille, and Pascal’ in Fiction and the Frontiers of Knowledge : Law, Literature, and Philosophy in Europe, 1500-1800, eds. R. Scholar and A. Tadié. Farnham and Aldershot, Ashgate.